Our space is our personal sanctuary, and in most cases we are a product of it. The environment we create and surround ourselves with has the ability to not only serve as refuge but enhance our day to day. 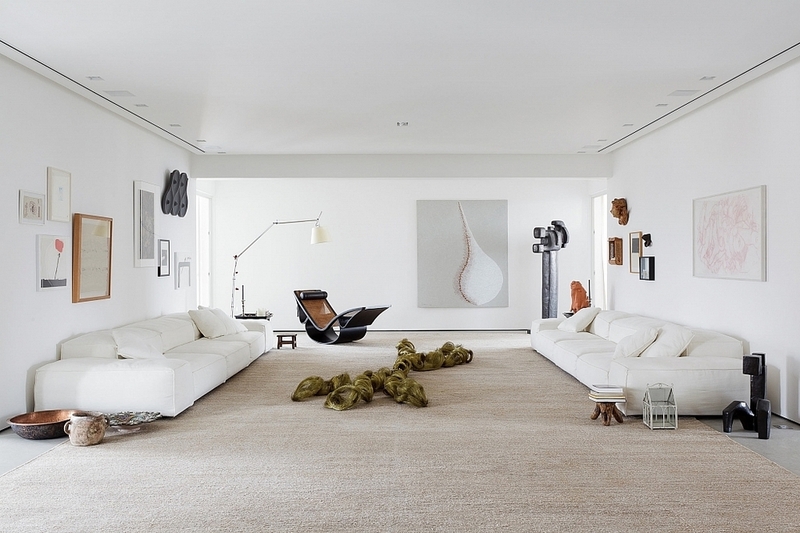 Inside this contemporary residence in São Paulo, Brazil an Art Collector has partnered with architect Consuelo Jorge to create a space that is galvanizing yet subtle and inviting. A beautiful blend of form and function bridge the gap between home and gallery, aiding in creating a space to in which display and living are in complete harmony.